Future Land Use Quick Poll: Take 2-minutes to share your input today! Help shape the future… click here to take the short Future Land Use Quick Poll and share what type of development you’d like to see and where! 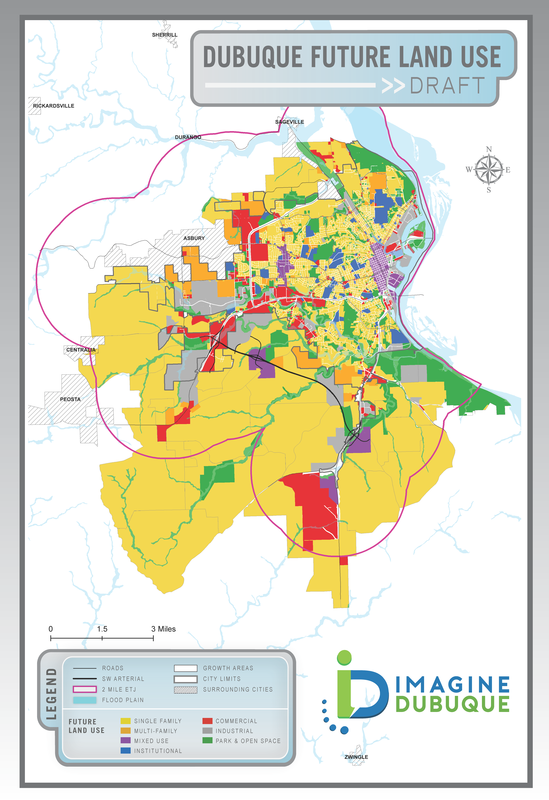 A Draft Future Land Use Map (click here to view or scroll down) has been created that identifies the best future physical development of the community. It will become a guide for making zoning and subdivision decisions. Topics include mixed-use development, riverfront development, multi-family residential development and more. Next Post Bee Branch Celebration Yields More Ideas on Future of Dubuque!